All hail fashion royalty’s signature curved chin-length bob with blunt fringe in a..
All hail fashion royalty’s signature curved chin-length bob with blunt fringe in a perfect blowout each time, every time. 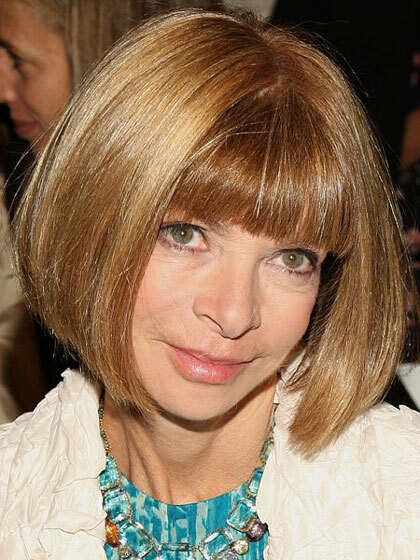 Why we love it: It’s Anna Wintour. That should be a great enough reason already; but to emphasize further, it’s low-maintenance and super trendy, or should we say, voguish!